UPS may be among the more underestimated and misunderstood companies of all time--and it's no accident. Its founder pursued a reclusive and Spartan business philosophy, emphasizing drab uniforms and reliability over flash. This bias persists to this day, and the discipline and loyalty of UPS employee culture can seem like a throwback to an earlier age. Drivers who lose a uniform cap can be disciplined, and can even be written up for wrapping their truck key around the wrong finger (it must be right pinky). Yet the drivers of UPS have one of the strongest unions--and rates of job satisfaction--in corporate America. 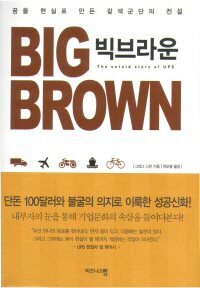 Consummate insider Greg Niemann lays bare all the seeming paradoxes about UPS--its old-fashioned management coupled with strong relations to labor; its "anti-marketing" bias (why brown, anyway?) with its sterling brand loyalty and reputation for quality. Most of all, Niemann shows the story of UPS is also the story of one of the greatest unknown capitalists of the 20th century--Jim Casey--who created a company that arguably dwarfs the remains of J.P. Morgan's and Andrew Carnegie's empires. 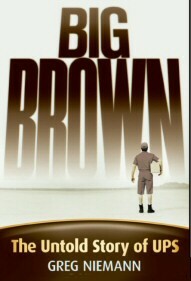 Every business reader of BIG BROWN will come away with a fistful of tested management ideas and principles for creating consistent growth, customer loyalty, and a bulletproof corporate culture. Copyright © 2000-2006 by John Wiley & Sons, Inc. or related companies. All rights reserved.